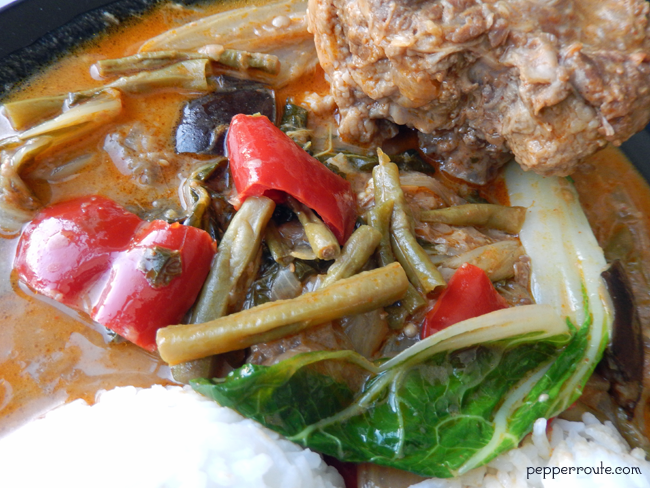 Pepper Route > Beef > Kare Kare… a Meat Stew Perfect for the Winter! Last week was real cold… and breezy to boot. Perfect weather for a meaty stew. 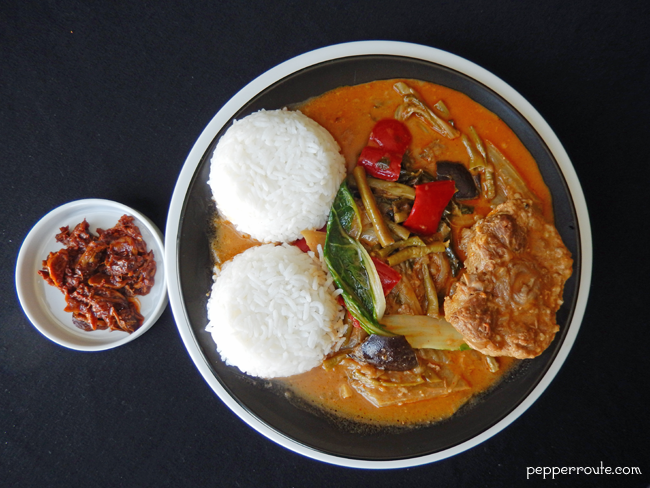 I had been planning to make a Kare Kare for a few days and last week, I finally got around to it. And man, am I glad! It looked good, tasted good, and was healthy as well! 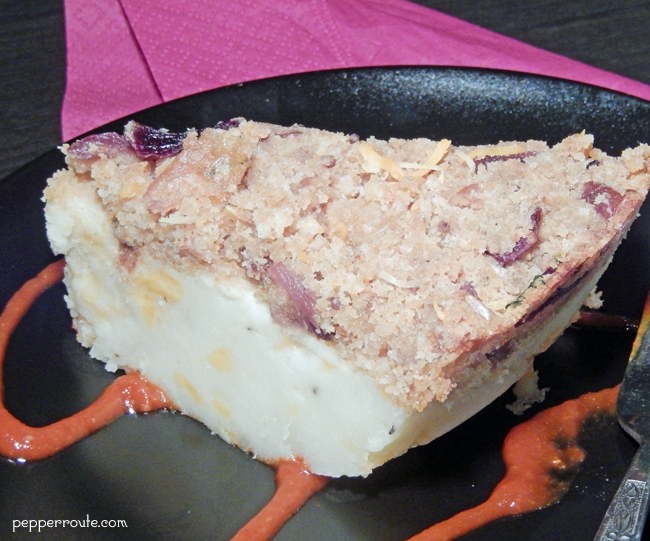 The vibrant orange colour of the dish is achieved by the use of achiote seeds, something new for me. Achiote seeds are commonly used in Latin American and Caribbean cuisines to add colour and flavour to food. I had seen them used by one of my friends from Puerto Rico and I was charmed. And I bought a bottle of the seeds from a Hispanic store. So the Kare Kare was the perfect opportunity to try it out! The seeds are not used directly in the food; at least that is what my friend told me. You soak it in some water and use that water for adding colour to food. Or you can fry it in some oil and use the oil for colour. Achiote is also available in powder form, which actually is the extracted colour mixed with corn flour. 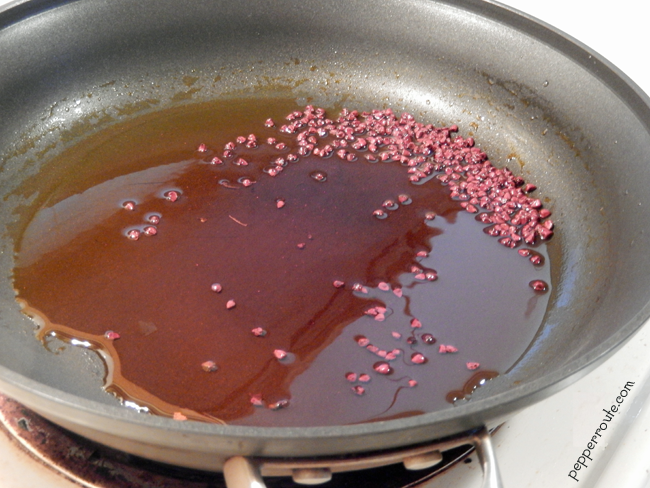 To use achiote with oil, heat the oil and add a teaspoon of the seeds. Keep stirring on a low heat. When the seeds turn dark, take off the heat and discard the seeds. You can use the oil like any other oil for cooking, and it will add a brilliant yellow-orange colour to whatever you cook. 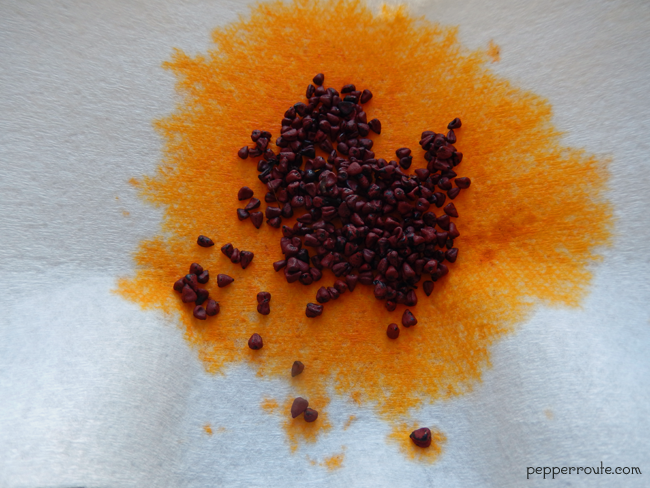 See how the drained seeds (to be discarded) have stained the paper towel! The achiote trees are a warm weather species, growing around the world. In addition to the seeds, the pericarp covering of the seeds are also used for colour extraction. Since ancient times, achiote has been used to add colour to cheeses and other dairy products and processed foods. Traditionally, the meat used for Kare Kare is oxtails. You can also add pork hocks or different cuts of beef. I used a combination of oxtails and short ribs with perfect results. The meats are first cooked in a broth. As the oxtails are quite fatty, it is a good idea to remove most of the pure fat from the broth. I usually cook the meat the previous day and pop it in the refrigerator overnight so that the fat can be easily and completely removed. 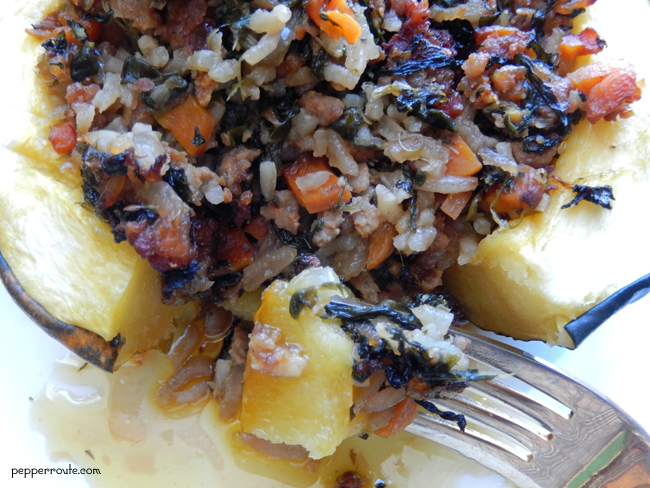 The health aspect of this dish is that it hits a perfect balance of meat and vegetables. 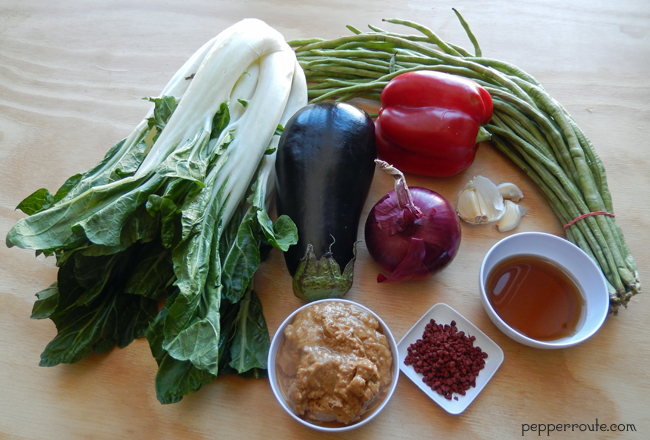 Yard long beans (sitaw), bok choy, and eggplant are the most commonly used vegetables. I added a red pepper as well, for the colour. This all around great dish has its origin in Philippines, where it is commonly served on festive occasions. 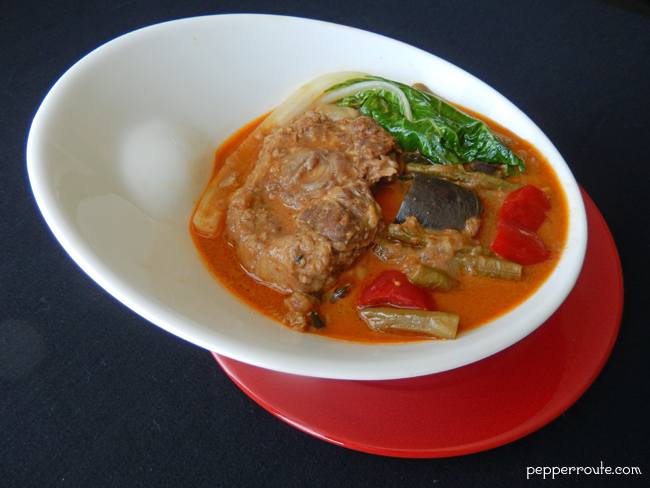 Kare Kare... a Meat Stew Perfect for the Winter! Kare Kare is ideally cooked over two days - cook the meat in the stock the first day and finish the dish the second day. This way, you can get rid of the excess fat content from the oxtails easily. One day one, cut the beef into large pieces. 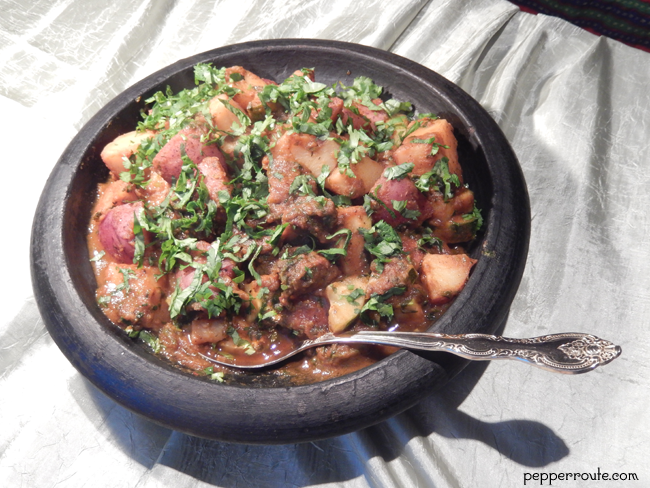 Place the oxtail pieces and the beef pieces in a large pot. Cut one onion into big wedges and add to the meat. Crush 4 of the garlic cloves with their skin on and add to the meat. Add the whole peppercorns and cloves to the pot as well. Pour cold water up to two inches above the meat and bring to a boil. 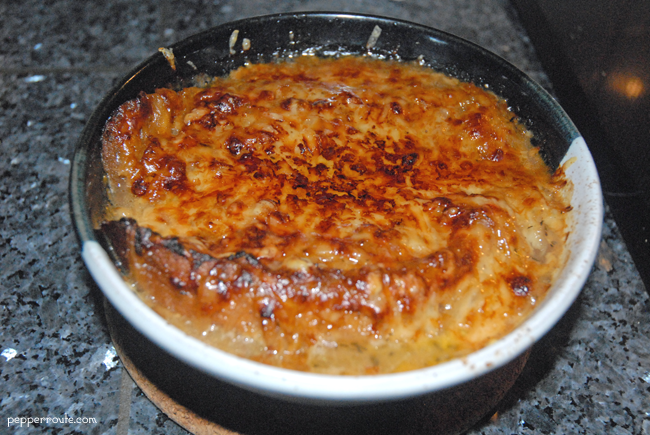 Simmer on low heat till the meat is very tender (usually takes 2 to 2 ½ hours), stirring once in a while. Add more water to the pot as required, to maintain the level. At the end you should have seven to eight cups of stock. When the meat is cooked well, remove from the heat and allow to cool. 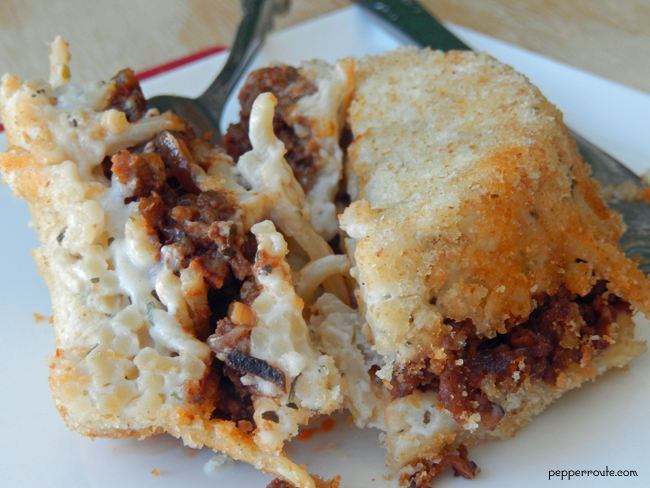 Keep in the refrigerator overnight or for at least three hours. When ready to continue, bring the pot out of the refrigerator and carefully remove and discard the sheet of fat on the top. Carefully remove the meat pieces onto a platter. Sieve the stock and discard the solids. Cut the remaining onion into smallish wedges. Skin and thinly slice the remaining 4 garlic cloves. Cut the vegetables into two-inch long narrow pieces. Add the achiote seeds, reduce the heat to low and keep stirring. 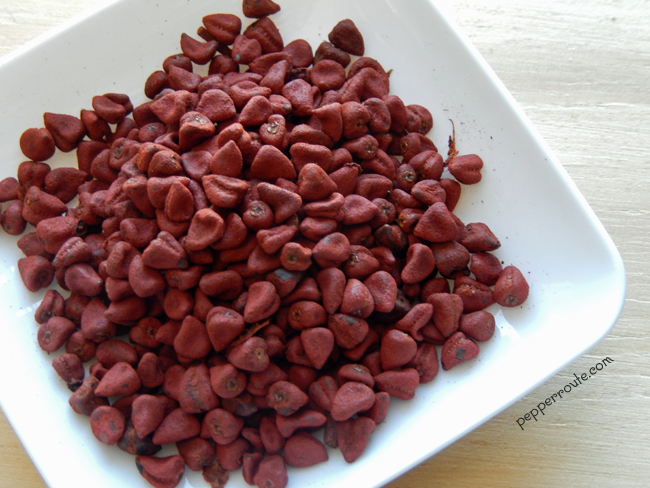 When the achiote seeds get dark, remove from the heat and separate and discard the seeds. Return the pan with the oil to the stove and add the onions. When they start to brown around the edges, add the garlic and sauté for a minute. Add the peanut butter, fish sauce and the stock. Stir together and bring to boil. Add the cooked meat and cut vegetables to the pot. Cook till the vegetables are done yet crisp. Remove from heat and serve with cooked rice and sautéed shrimp paste (bagoong) on the side. Yum!